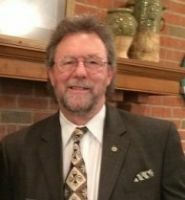 Kirk is well known as the CEO of Stones River Manor in Murfreesboro, a not-for-profit senior living community sponsored by area churches of Christ. Kirk and Cindy have been serving the Mars Hill Church of Christ since placing membership in 1987. Kirk currently teaches the auditorium adult class on Sunday mornings. After serving as a deacon for ten years, Kirk was appointed as an elder in February of 2000.